From inner-city food deserts to car-centric suburbs, aspects of the physical environment are frequently cited as a contributing factor to the rise of obesity in the developed world. However, new research, published earlier this year in the International Journal of Obesity and summarised online at the Public Library of Science (PLOS) blog, Obesity Panacea, found a surprising correlation between elevation and obesity in the United States. 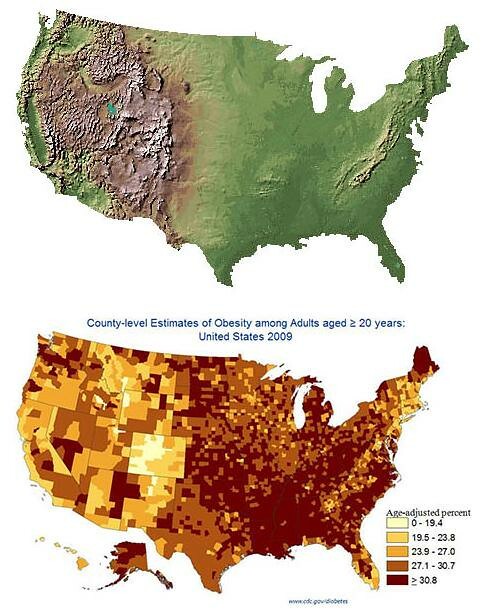 Obesity appears most prevalent in the Southeast and Midwest states and less prevalent in the Mountain West. Despite significant research into the environmental determinants of obesity, including the built environment, the explanation for these macrogeographic differences is unclear. Read the full (and filling) story at Edible Geography. 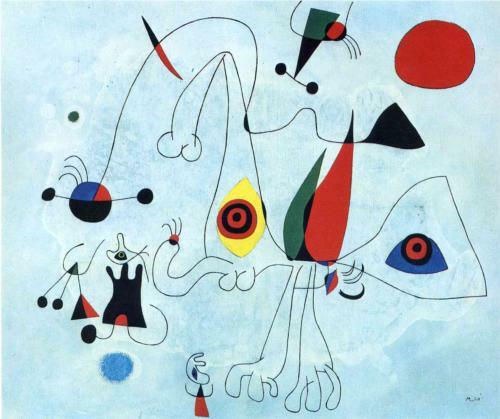 As we head for higher ground, we might send playful birthday greetings to Joan Miró i Ferrà; he was born on this date in 1893. 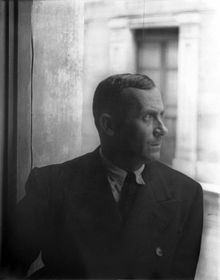 A painter, sculptor, and ceramicist, who worked over time as a Fauve, Magic Realist, Surrealist, and Expressionist (and pioneered Color Field painting), Miró had a huge influence on artists in the later Twentieth Century (Frankenthaler, Rothko, Motherwell, and Calder among many others), and on design pioneers like Paul Rand.